Comment: I have a 2 car driveway and a walkway that are covered with pebbles. Much of the driveway and walkway is breaking apart. The only solid area is near the front door because the patio protected it from water and weather. I would like all the pebbles removed, with little to none finding its way into my rock covered yard. And then the driveway and walkway cleaned and made to look presentable underneath. Comment: existing macadam strip between road and property line. About 1500 sq. ft.
Las Vegas Paving Contractors are rated 4.14 out of 5 based on 13 reviews of 4 pros. 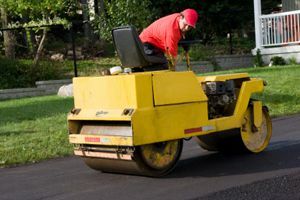 Not Looking for Paving Contractors in Las Vegas, NV?